Outdoor activities, a new song, 100 activity suggestions, crafts, games, and so much more for a fun-filled week! Thematic letters, perpetual calendars, puppets, hunt and seek, and many other Spring Break printables to keep your group busy! Create a special mailbox corner. Every morning, encourage children to check your mailbox to see if Snowball, your Spring Break mascot, left a message for them. 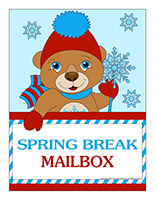 (Open poster-mailbox-Spring Break) Be sure to insert a new letter from Snowball every day before children arrive. Purchase the mailbox sold on our online store and decorate it for your theme. Use an empty cardboard box (shoe box, cereal box, etc.) and transform it to make it look like a mailbox. Use a recycled coffee tin as a mailbox. Decorate it as you see fit. Hang a gift bag on a hook or on a door handle and identify it so children know it is a mailbox. 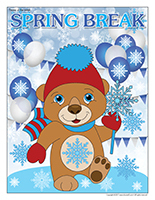 (Open educa-theme-Spring Break) Print and laminate the elements representing your theme. Use them to present your theme to children (and their parents) while decorating your daycare. (Open educa-decorate-Spring Break) Print, laminate, and cut out the items. 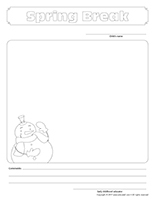 Use them to decorate the walls of your daycare and set the mood for your theme. (Open perpetual calendar-Winter ball) Print and display to announce the winter ball you will organize to celebrate Spring Break. This tool was created in response to a special request received. (Open perpetual calendar-Closed for Spring Break) Print and laminate. Use this tool to inform parents of the days your daycare will be closed for Spring Break. Display it in your cloakroom or near your daycare entrance. We have prepared a series of thematic letters that can be printed and used as you wish. Simply place a thematic letter in your mailbox each day. When children discover the daily letter, read it to them and enjoy the various activities and challenges. 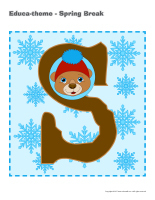 (Open puppets-Snowball the Spring Break mascot) Print the puppet and use it to read the thematic letters to your group. (Open thematic letter-Spring Break-Day 1) Print the letter and make sure children find it during circle time. Read the letter to your group to introduce the special Spring Break week with Snowball, the Spring Break mascot. My name is Snowball. I am the Spring Break mascot. Throughout the week, I will suggest different activities and surprises. Every day, (early childhood educator's name) will read part of my letter to let you know about the scheduled activities. The week will end with the Winter ball that will take place on (choose date). Today, I would like you to transform your daycare and create a special winter décor. I left a box filled with surprises in your daycare. Use its contents to decorate your daycare as you see fit. I can't wait to see your decorations tomorrow! Memo for the early childhood educator: Before children arrive, fill a box with a variety of arts & crafts materials such as confetti, stickers, feathers, cotton balls, all kinds of paper (tissue paper, crêpe paper, metallic paper, cellophane paper, etc. ), and crayons. Use different printable documents from the educatall club such as the "educa-theme" or "educa-decorate" to decorate your cloakroom, the kitchen, the playroom, etc. (Open thematic letter-Spring Break-Day 2) Print the letter and leave it in your mailbox area along with several winter-themed coloring pages and a special surprise for each child. I hope you are enjoying my visit so far. Your decorations are magnificent! Today, I want you to enjoy my favorite activity: coloring! I left several beautiful coloring pages with (early childhood educator's name). Gather your best crayons and add pretty colors. (Early childhood educator's name) can help you hang your work when you are done. Oh! I almost forgot! I also left a frozen treat for each and every one of you. Memo for the early childhood educator: (Open coloring pages theme-Spring Break) Print several copies. Let children choose the coloring page they prefer and color it as they wish. Play music as they work. Don't forget to prepare or purchase a frozen treat for each child (from Snowball of course). (Open thematic letter-Spring Break-Day 3) Print the letter and insert it in your mailbox. 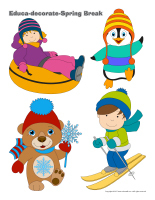 Today, you will play in the snow with your early childhood educator...indoors! You will see snow turn into water. Once the snow has completely melted, you will set the water outside, in the cold. Watch it closely to see what will happen next... I look forward to seeing you again tomorrow to find out if you enjoyed this little scientific experiment. Memo for the early childhood educator: Fill several bins with clean snow and set them in a larger container. Invite children to build snow castles with the snow. They will realize how quickly the snow melts and becomes water. Once the snow is completely melted away, pour the water into aluminum pie plates and set them outside, in the cold. With your group, watch the water turn to ice. (Open thematic letter-Spring Break-Day 4) Print the letter and insert it in your mailbox. Today is my favorite day of the week. We will be spending the day outside! Listen closely to your early childhood educator's instructions and prepare for a very colourful day! (Early childhood educator's name) has a very special surprise for you. See you tomorrow my friends! Memo for the early childhood educator: Collect several empty yogurt and applesauce containers. Fill them with water and add a few drops of food coloring to each one. Set them in the freezer to create colourful ice blocks. I suggest preparing many ice blocks ahead of time to guarantee you have enough for your entire group. Encourage children to use the ice blocks for a wide range of constructions. Their creations will last if the weather is cold outside. If you prefer, use the ice blocks for a colourful treasure hunt. Hide the ice blocks in the snow and invite children to search for them. You can ask them to search for a specific color. For example, ask them to find all the blue blocks, then the red ones, then the yellow ones, and so on. (Open thematic letter-Spring Break-Day 5) Print the letter and insert it in your mailbox. Finally, today is the Spring Break Winter ball! I hope you had a wonderful week. I really liked spending time with you. This is your day. Enjoy it! Let's have fun because afterwards, Spring Break will be a thing of the past and I will have to go back to my regular tasks and duties until next year! Memo for the early childhood educator: Before children arrive, play music and dim the lights. Invite children to dance around the daycare. You can give each child a glow stick. After the party, they will like to keep it by their side during naptime. They will appreciate its soft glow. Plan a picnic lunch. If the weather is nice, eat outside, in the snow. Otherwise, set up a candlelit lunch or an imaginary indoor winter picnic. Serve snow cones for dessert. They are easy to prepare, simply mix crushed ice with juice. (Open models-hats-Spring Break) Print a model for each child. Have children decorate their hat using markers and various arts & crafts accessories. (Open puppets-Snowball the Spring Break mascot) Print and laminate the puppets. Add a puppet to each child's loot bag. (Open photo booth-Spring Break) Print the various accessories, cut them out, and glue a drinking straw behind each one. Purchase hats, scarves, glasses, etc. at your local dollar store. Create a wintery décor using a large piece of cardboard or curtain. Invite children to pick the accessories they prefer and pose for you. You can take individual, group, or family photos. Print the pictures and display them on a wall for everyone to see. Let children pick a construction paper color and help them form a cone. Staple the construction paper to solidify each child's cone. 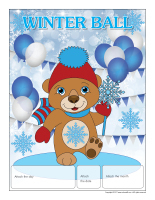 Provide Fun Foam shapes children can use to decorate their winter ball flute. If possible, find industrial (cone-shaped) spools and use them to create sturdy flutes. Take a break this week and let children hold the reins. Suggest a week filled with free play, no circle time, and best of all, no cleanup periods. You may also take a break from using your communication journals. Invite parents to join you for a specific part of the day such as snack time, lunch time, story time, workshops, or even a special outing. Since school-aged children are on vacation this week, older brothers and sisters may be able to spend some time with your group. Plan a special day if this is possible within your group. Spring Break is a great time for spending time as a family. Unfortunately, very few of us take advantage of this opportunity. Here is a list of simple activities that are great for families. Do not hesitate to copy it and send it home with parents at the end of the day. Visit a museum. Afterwards, encourage everyone to draw what impressed them most and present their drawing. Draw on the snow. Dilute paint with water and pour the mixture into empty shampoo bottles. Visit your local library and organize an afternoon reading. Visit a playground or build a big slide for sledding in your yard. Build a fort outside with big snow blocks and serve the afternoon snack inside it. Wear your pyjamas all day and plan a potluck brunch. Plan a "baking day" and have everyone pitch in. Serve hot chocolate and sip it while sitting under cozy blankets. Organize a movie day with candy and treats. Have everyone prepare a short sketch and present it during an afternoon talent show. Play hockey at an outdoor rink or in your street. Clean out your toys and closets and fill a box with items you can donate to a local charity. Deliver it with your children. Plan a photo session. Dress up and strike silly poses. Once the pictures have been printed, use them to create a montage...it will make a great gift. Pretend you are designers. Draw new floor plans and rearrange furniture accordingly. Organize an indoor or outdoor treasure hunt. Take advantage of periods of outdoor play to get children to participate in a variety of different activities. Ask them to build snowball towers, snow castles, etc. Bring your indoors...outdoors! Spring Break is perfect for spending time outside. Take the contents of different corners out into your backyard. You can easily bring dolls, blankets, and sleds outside. Children will love pulling the dolls around the yard. Large blocks can be used for various snowy constructions. Paintbrushes and containers filled with a mixture of water and food coloring can be used to paint designs in your yard. Plan an outdoor relay race. Use cones, stilts, hula hoops, and balls. Encourage children to help you create an obstacle course. Organize an aerobics class to get children moving. Play music and hop, skip, and jump. Provide empty margarine and yogurt containers. 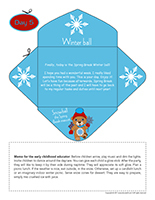 Children will love filling them with snow and using the shapes they create for various constructions. Plan an outdoor picnic. If the weather outside is too cold, simply set a blanket on the floor within your daycare and sit on it to eat with your group. Throughout the week, provide empty plastic containers and cardboard boxes. Your grocer will be happy to give you boxes. Let children use the boxes to build houses, tunnels, towers, and structures of all kinds. Transform your construction area to make it look like an actual construction site (tractors, dump trucks, cranes, etc.). Depending on the size of your corner, fill a kiddie pool with sand and let children play in it. Decorate the area with different construction-related pictures. Set a toy car mat on the floor or use colourful electrical tape to draw a road network (the roads can even go up and down your daycare walls). Children will also love using string to represent roads and moving them around several times per day. Use blankets to build a special shelter. Hang old bed sheets over furniture items, tables, and chairs to represent tents and cabins. Allow children to spend time in these areas with books and magazines. Provide flashlights. You may also make a voice recorder available for your group. Children will love recording themselves as they "read". You may also record yourself as you read the different books children can explore. They will like listening to them repeatedly. Set six to eight jars (different sizes) on the floor. The goal of this activity is to find which lid goes with which jar. It's a great way to stimulate children's capacity to sort and classify. With older children, add a jar and lid that do not go together to make the exercise more challenging. You may also encourage them to sort the jars from smallest to biggest. (Open game-I am learning to cut) Print the pages and staple them together to create a booklet for each child. Throughout the week, children trace the shapes and cut them out. Set your naptime mats or exercise mats on the floor within your daycare to create a gross motor skills area. Let children perform somersaults and various stretches on the mats. Provide children with buckets of soapy water and rags and ask them to help you clean the daycare. They will love this activity! What's more, thanks to their efforts, your daycare will be squeaky clean! Provide pens, pencils, writing booklets, stationery, alphabet stencils, and envelopes. Have each child prepare a letter they can mail to their home. Parents will be surprised to get a letter from their child! Serve Alpha Bits cereal and encourage children to use word flashcards as models to "write" words. (Open educ-trace-Spring Break) Print for each child. Children must trace each line using a marker of the corresponding color and then color the object at the end of the line with the same color. (Open educ-pairs-Spring Break) Print. Children must draw a line between items that go together or color them using the same marker. (Open educ-same and different-Spring Break) Print and laminate for durable, eco-friendly use. Children must circle the illustration that is different in each row. (Open complete the drawing-Spring Break) Print for each child. Children must complete the drawing as they see fit. (Open hunt and seek-Spring Break) Print and laminate. Children pick a card and search for the item in the scene. (Open pretend money) Print several copies and laminate. Set a cash register on a table and give children turns playing the role of the store clerk. Give the other children a bag with handles and invite them to "shop" in your daycare. You can let them pick and choose among the things available in your daycare or ask them to find specific items. When they are ready, they must pay the store clerk. You can take advantage of this activity to explain how keeping a store clean is very important. Children will love dusting the shelves and rearranging items with you. Teach them how to check inventory by having them count different items. Fill a few large containers with water and let children wash your daycare dolls with soap and facecloths. Set towels nearby. (Open scrapbook-Spring Break) Print for each child. Add this page to their scrapbook. If you do not already have a scrapbook for the children in your group, visit the scrapbook section of the educatall club. Place a variety of items on a table (nails, paperclips, coins, rubber bands, aluminum, crayons, blocks, lipstick, etc.). Hold a magnet next to each item, one at a time. Set the items attracted to the magnet in one pile and the items not attracted to the magnet in another pile. Help children understand how metals are attracted to magnets. Invite them to walk around the daycare to find other metallic objects. Fill a large container with rice. Add figurines, measuring cups, containers, utensils, etc. Let children manipulate everything as they wish. Fill two or three empty boxes with different types of fabric. Cut holes (diameter of 2.5 to 3.0 cm) in the lid of each box before putting them back on. Use adhesive tape to firmly hole them in place. Encourage children to insert their hands through the holes to manipulate the fabric. Invite them to describe what they feel inside each box. Set up a tent in your daycare or yard. Provide sleeping bags, cushions, and stuffed animals and let children sleep in the tent during naptime. Have everyone sleep in a different spot at naptime. Let children decide where they want to sleep and let them pick one of your stuffed animals to keep them company. 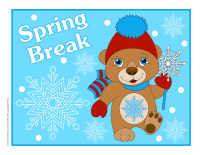 (Open coloring pages theme-Spring Break) Print for each child. Provide uncooked spaghetti pasta and miniature marshmallows and encourage children to build a variety of structures. They can create a house, a rocket, a cat, etc. Invite them to follow their imagination. Display their artwork, as in a museum. Set several containers filled with different colors of sand on the floor. Add cookie cutters children can use to make colourful shapes. Set a bin filled with water (or any other exploration bin) on the floor along with measuring cups, measuring spoons, etc. Encourage children to measure different quantities of water and name the numbers they see on the cups and spoons. Blanket cabins-Provide bed sheets and blankets along with clothespins and encourage children to build cabins and tents. They can use furniture items for support. Restaurant play-Collect several restaurant menus (the ones you receive in the mail). Provide plastic dishes, aprons, and a small notebook and children will be ready to take your order. Grocery store play-Ask parents to help you collect empty food containers. Set a toy cash register on a table and provide paper or plastic grocery bags. Mommy and daddy-Fill a few large containers with water and let children wash your daycare dolls with soap and facecloths. Set towels nearby. Hairdresser-Set a variety of hair accessories on a table. Children can add them to their own hair, their friends' hair, or use them for dolls. Photo session-Dress up and strike silly poses. Once the pictures have been printed, use them to create a montage...it will make a great gift. Store clerks-(Open pretend money) Print several copies and laminate. Set a cash register on a table and give children turns playing the role of the store clerk. Give the other children a bag with handles and invite them to "shop" in your daycare. You can let them pick and choose among the things available in your daycare or ask them to find specific items. When they are ready, they must pay the store clerk. You can take advantage of this activity to explain how keeping a store clean is very important. Children will love dusting the shelves and rearranging items with you. Teach them how to check inventory by having them count different items. Spring cleaning-Provide children with buckets of soapy water and rags and ask them to help you clean the daycare. They will love this activity! What's more, thanks to their efforts, your daycare will be squeaky clean! Detective game-Provide magnifying glasses and let children pretend they are detectives. They can observe toys, insects, feathers, food, etc. Constellations-Turn all the lights off (or dim them). Give children flashlights and encourage them to walk around the daycare and use the light to represent stars and constellations on the floor and walls. Painted faces-Purchase non-toxic makeup and unbreakable mirrors. Let children paint their own face. Veterinarians-Set toilet paper rolls and stuffed animals on a table. Show children how they can wrap the stuffed animals' limbs with toilet paper to represent bandages. You may also let them use your toy doctor kits. Comedy hour-Have each child sit with a partner so they are facing each other. They must imitate their partner's facial expressions. The goal is to make their partner laugh. 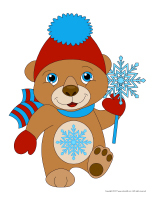 Groomers-Provide ribbons, hats, and brushes and invite children to groom your stuffed animals and show them off afterwards. Space ship-Collect three or four empty cardboard boxes (from appliances). Have children paint them with gray paint. Set an old keyboard on a table to represent your space ship's command centre. Wrap a bicycle helmet with aluminum paper and add headphones. Children will love launching their space ship into outer space. The bus-Arrange chairs single file to represent bus seats. Invite children to hop on your bus and take turns being the driver. If you wish, add accessories such as backpacks, lunch boxes, etc. Photographer-Children take turns playing the role of a photographer while the others strike different poses for him to photograph. Have each photographer draw his favorite "picture". The bakery-Transform your modeling dough workshop to represent a bakery. Children will love making modeling dough cakes, pies, and cookies. Provide kitchen accessories such as cookie cutters, bowls, and spoons along with boxes and ribbon. Sponge constructions-Set a bin filled with sponges in your construction area and encourage children to integrate them in their constructions. The advantage of sponges: when they fall or children drop them, you won't hear a sound! Recyclable constructions-Use empty toilet paper rolls and tissue boxes to make unique constructions. LEGO homes-Use LEGO blocks or wooden blocks to build houses. Add a construction paper roof on each one. Sand table and construction vehicles-Fill a kiddie pool with sand and add your largest construction vehicles to represent a construction site. Stacking tissue boxes-Collect empty tissue boxes and invite children to stack them. Who will build the tallest tower? Block road network and toy cars-Have children use blocks to represent a road network (two parallel lines). They will love driving toy cards along the streets they create. At the zoo-Use wooden blocks to represent a zoo. Add jungle animal figurines and let children play. Wrap and unwrap-Provide several pieces of wrapping paper (different sizes and patterns). Encourage children to wrap and unwrap your daycare toys. Workbench-Let children use the tools from your toy workbench to "fix" your daycare toys and furniture. Puzzle races-Give two children a different puzzle and have them race to see who will complete his/her puzzle first. Puzzle for two-Children work with a partner. Have them place the pieces of a puzzle in a bag and take turns picking a piece and trying to add it to complete the scene. 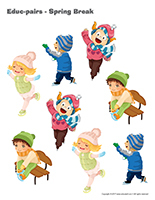 Memory game-In the educatall club, you will find several picture games. 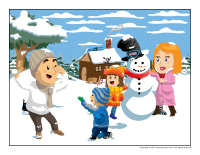 Print a set of pictures twice and use them for a memory game. Illustrated bingo-You will find several bingo games in the educatall club. Print, laminate, and store the pieces in a Ziploc bag. Play bingo with your group. Improvisation-Depending on the ages of the children in your group, have them mime simple situations. The other children must guess what they are doing. Felt board-Glue four pieces of black felt on a piece of cardboard and display your felt board on a wall. Have children trace various shapes on colourful felt and cut them out. The shapes will stick to your felt board. Children will enjoy creating a variety of scenes and stories. Three-dimensional structures-Ask children to roll balls of modeling dough (different sizes). Have them insert drinking straws or toothpicks in the dough to create three-dimensional structures. Show them how they can use the dough to represent snakes, snails, or porcupines. Use homemade modeling dough. Add plastic insects and flowers and invite children to create a modeling dough garden. Stamp banner-Purchase several rubbers stamps and stamp pads (different colors). Have children use them to create a long banner. Mosaic-Collect scraps of paper and cardboard and invite children to tear them into pieces. Glue the pieces on a large piece of cardboard to create a mosaic. Creativity welcome-Provide a wide range of arts & crafts materials (feathers, glitter, beads, pasta, buttons, stickers, etc.). Let children use the material to create unique artwork. Toothbrush painting-Provide old toothbrushes. You can ask parents to help you collect them. Let children use them for painting. This activity can be messy, be sure to set plastic tablecloths under the area where children will be working. I am learning to cut-(Open game-I am learning to cut) Print the pages and staple them together to create a booklet for each child. Throughout the week, children trace the shapes and cut them out. Writing workshop-Provide pens, pencils, writing booklets, stationery, alphabet stencils, and envelopes. Have each child prepare a letter they can mail to their home. Parents will be surprised to get a letter from their child! Eating words-Serve Alpha Bits cereal and encourage children to use word flashcards to "write" words. Magic Nuudles-You will find several educa-nuudles worksheets in the educatall club. Provide Magic Nuudles and let children use them to add color to the worksheets and create three-dimensional scenes. Illustrators-Children pretend they are illustrators. Provide ink, stamps, envelopes, stickers, wrapping paper, pens, rulers, cardboard, paper, etc. Let them draw scenes from their favorite books. 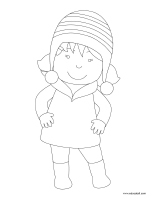 Coloring-You will find tons of coloring pages in the educatall club. Print several different ones and invite children to color them using markers, wooden coloring pencils, waxed crayons, etc. Activity sheets and writing sheets-Print several different ones (available in educatall club) for each child and use them to create original activity booklets children can complete throughout the week. Stamps, stamp pads, and ink-Provide white paper, rubber stamps, and stamp pads and let children explore them as they wish. Colourful spirals-You will need different sizes of white paper. Use a rubber band to tie three waxed crayons together for each child and encourage them to use their new tool to draw spirals on the paper. Rice bin-Fill a large container with rice. Add figurines, measuring cups, containers, utensils, etc. Let children manipulate everything as they wish. Archeology-Fill a container with sand. Add plastic dinosaur figurines, paintbrushes, magnifying glasses, and tweezers. Let children pretend they are archeologists. Bath time-Fill a large basin with water and let children bathe your daycare dolls. Spaghetti constructions-Provide uncooked spaghetti pasta and miniature marshmallows and encourage children to build a variety of structures. They can create a house, a rocket, a cat, etc. Invite them to follow their imagination. Display their artwork, as in a museum. Colourful sand-Set several containers filled with different colors of sand on the floor. Add cookie cutters children can use to make colourful shapes. Measuring-Set a bin filled with water (or any other exploration bin) on the floor along with measuring cups, measuring spoons, etc. Encourage children to measure different quantities of water and name the numbers they see on the cups and spoons. Texture box-Fill two or three empty boxes with different types of fabric. Cut holes (diameter of 2.5 to 3.0 cm) in the lid of each box before putting them back on. Use adhesive tape to firmly hole them in place. Encourage children to insert their hands through the holes to manipulate the fabric. Invite them to describe what they feel inside each box. Magnets- Place a variety of items on a table (nails, paperclips, coins, rubber bands, aluminum, crayons, blocks, lipstick, etc.). Hold a magnet next to each item, one at a time. Set the items attracted to the magnet in one pile and the items not attracted to the magnet in another pile. Help children understand how metals are attracted to magnets. Invite them to walk around the daycare to find other metallic objects. Assembly exercise- Set six to eight jars (different sizes) on the floor. The goal of this activity is to find which lid goes with which jar. It's a great way to stimulate children's capacity to sort and classify. With older children, add a jar and lid that do not go together to make the exercise more challenging. You may also encourage them to sort the jars from smallest to biggest. Watch closely-Set up an observation table containing different items that are used to see (magnifying glasses, binoculars, mirrors, cellophane paper, etc.). Encourage children to use the items to observe things within your daycare. Lock and key activity-Set several different locks and the corresponding keys on a table and encourage children to try to open the locks. Magic powder-Fill a large container with flour and add star-shaped confetti. Children must try to find as many stars as possible. If you wish, you may also add glitter to your bin. Bubbles everywhere-Fill a large container with water and soap and stir to create lots and lots of bubbles. Let children play in the container with toy cars or figurines. Gymnastics-Set your naptime mats or exercise mats on the floor within your daycare to create a gross motor skills area. Let children perform somersaults and various stretches on the mats. I am you and you are me-For this activity, children sit on the floor facing a partner. They take turns reproducing their partner's every move. Riding the waves-Children sit on the floor with a partner. Place a hula hoop around each pair of children and invite them to swing from front to back as if they are in a boat. Snowball fight-Have children crumple balls of paper and use them to try to hit a target on a wall or toss them in a laundry basket. Who am I?-You will need cards with pictures of animals (see educatall club). Have children pick a card and imitate the animal's sound or actions. The river-Set hula hoops on the floor to represent river rocks. Children must hop on the rocks to avoid getting wet. I am skating-Slide empty tissue boxes over children's feet or have them stand on felt shoe inserts and let them skate around your daycare. Somersaults-Use your naptime mats to create a somersault path around your daycare. Obstacle courses-Use tables, chairs, cones, etc. to create unique obstacle courses for your group. Bean bag toss-Use your store-bought bean bag toss game or make your own by cutting holes out of a cardboard box. Have children toss bean bags in the holes. Basketball-Set several empty laundry baskets on the floor and have children toss balls or sponges in them to play basketball. Bowling-Use empty bottles to create a unique bowling game. Use a tennis ball with older children or a beach ball with very young children. Knitting activity-Give each child a ball of yarn. Attach the end of each one to a furniture item and encourage children to push or toss their balls of yarn across the daycare in every direction, crisscrossing the different balls of yarn to "knit" a unique creation. Cardboard box fun-Ask you grocer for several cardboard boxes. Let children use them to build tunnels, houses, towers, etc. In pursuit-Chase children around the daycare. You can pretend you are a wolf and the children in your group are little piglets. Inside/outside-Bring your indoors...outdoors! Spring Break is perfect for spending time outside. Take the contents of different corners out into your backyard. You can easily bring dolls, blankets, and sleds outside. Children will love pulling the dolls around the yard. Large blocks can be used for various constructions in the snow. Paintbrushes and containers filled with a mixture of water and food coloring can be used to paint designs in your yard. Outdoor relay race-Bring cones, stilts, hula hoops, and balls outside and invite children to help you create an obstacle course. Divide your group into two teams and see which one completes the course the fastest. Aerobics-Organize an aerobics class to get children moving. Play music and hop, skip, and jump. Snow structures-Provide empty margarine and yogurt containers. Children will love filling them with snow and using them to build forts, castles, and shelters of all kinds. Dance-a-thon-Explore different types of music and dance your little hearts out! Echoooooo-Encourage children to speak into empty bottles, recycled containers, paper towel rolls, or toilet paper rolls to hear echos. Wind chimes-Hang several different wind chimes or items (spoons, aluminum pie plates, tiny bells, etc.) from the ceiling. Move the wind chimes and items and listen to the sounds they produce. Cereal necklaces-Set a large bowl filled with Cheerios or Froot Loops on a table. Give each child a piece of yarn and let them create necklaces. Hopscotch-Use colourful electrical tape to draw a hopscotch grid on the floor and show children how to play. Drums and tambourines-Provide plastic containers and spoons and let children play on your homemade drums. Puppet theatre-Provide socks children can use to create puppets. When they are ready have them take turns presenting a brief puppet show. Educ-math-Print several educ-math activity sheets (available in educatall club). 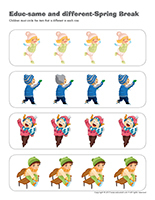 Laminate them and encourage them to use the activity sheets with a dry-erase marker to practice their counting skills. Mr. Potato Head-Let children use the parts from your Mr. Potato Head game to create different characters. Encourage them to tell you how their characters are feeling to explore emotions. Mirror game-Invite children to mime various emotions in front of a mirror. Angelic voices-Record each child saying, "I have an angelic voice." Listen to the recordings with your group to see if children can identify the different voices. Wind instruments-Give each child a scarf. Alternate fast-paced and soft music. Encourage children to move their scarf to the sound of the music. They can toss it up in the air, sway it gently, shake it, etc. Musical hide and seek-Give each child a musical instrument. Have them all hide, except for one child. This child must find his friends. Children can softly play their musical instrument to help the child find them. I can whistle-Teach children how to whistle. Practice throughout the week. Big or small-You will need two baskets, a big one and a small one. You will also need several tiny balls and several larger balls. Children must toss the balls into the correct baskets (the tiny balls in the small basket and the larger balls in the big basket). From smallest to biggest-Set several objects on a table (feathers, pasta pieces, buttons, pieces of paper, blocks, etc.). Ask children to place the items from smallest to biggest or from biggest to smallest. My post office-Transform your writing area to represent a post office. You will need a desk, a chair, envelopes, stickers, stationery, a mail bag, a mailbox, crayons, rubber stamps, etc. Encourage children to practice their writing skills. I am light, I am heavy-Set a scale on a table and provide a variety of packages children can weigh. Explain how the heavier a package is, the more it will cost to mail it. Mail obstacle course-Create an obstacle course and have children take turns completing it to deliver a letter, at the other end. You can, for example, have them crawl through a tunnel, hop inside hula hoops, walk along a balance beam, etc. Shadow puppets-Hang a large white bed sheet from the ceiling in your daycare. Have children use their hands or body to create shadow puppets. If you prefer, cut shapes out of heavy paper and glue them on Popsicle sticks. Children can use them to represent animals or objects.